Know thou that every created thing is a sign of the revelation of God. Each, according to its capacity, is, and will ever remain, a token of the Almighty. Inasmuch as He, the sovereign Lord of all, hath willed to reveal His sovereignty in the kingdom of names and attributes, each and every created thing hath, through the act of the Divine Will, been made a sign of His glory. So pervasive and general is this revelation that nothing whatsoever in the whole universe can be discovered that doth not reflect His splendour. Under such conditions every consideration of proximity and remoteness is obliterated.... Were the Hand of Divine power to divest of this high endowment all created things, the entire universe would become desolate and void. Bahá’u’lláh begins by explaining that all of creation, each and every thing, is “a sign of the revelation of God.” At first, I imagined that what was being referred to was Bahá’u’lláh’s own revelation. But on deeper reflection, I realized that it is the physical creation that is being described here as the “sign” revealing the attributes of God. I began to wonder: is it this marvelous creation that convinces us there is a God? What is it that links the creation to the knowledge of God, the Unknowable? What is the “sign” in each created thing that reveals God to us? Is there some kind of bond between a rock, an insect, a plant and a human being that connects them with one other and to God? Is the bond forged by the attraction that draws atomic particles together? Is the “sign” simply the wonder of discovery as science delves deeper, uncovering more truths about the creation? Or is the “sign” the awe we may experience as we gaze upon one small part of an ecosystem so vast and complex that we cannot fathom its creation or its Creator? We learn from this passage that God has “willed to reveal His sovereignty in the kingdom of names and attributes.” Because God has willed to reveal Himself in the world, each created thing is an expression or outward sign of the presence of the Almighty. Bahá’u’lláh’s assertion that “every created thing hath, through the act of the Divine Will, been made a “sign of His glory” suggests that each thing in the world of creation reflects one or more of the attributes or names of God. Does the fact that all things, by embodying God’s names and attributes, stand “exalted beyond all proximity and remoteness,” point to the interconnectedness of all created things, one to another? If we are all a “sign” of His glory, if each member of the mineral, plant, animal, and human kingdoms reflects the splendour of His light, if each creature is an expression of one of His names or attributes, are we not all united in some kind of spiritual ecosystem, a system in which all created things are so completely interwoven that there can be no thought of proximity or remoteness with respect to them? Could it be that we, the creation of God, are one? If we give our hearts to God, then, and follow His laws and teachings, will all striving for proximity and fear of remoteness become irrelevant to our spiritual lives? It might seem so, but there is a hitch. 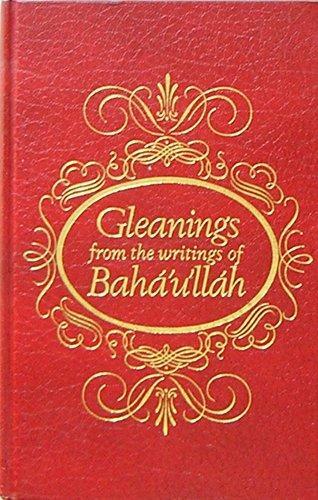 In another passage from Gleanings, Bahá’u’lláh asserts: “Whoso hath failed to recognise Him will have condemned himself to the misery of remoteness, a remoteness which is nought but utter nothingness and the essence of the nethermost fire.” (Gleanings, XXIX) Here, Bahá’u’lláh is referring to the Manifestation of God, explaining that God created us so that we might know Him and come into His Presence. Knowing our Creator, therefore, can be accomplished only by our recognition of the Day Spring of Divine guidance, Bahá’u’lláh Himself, and attaining His Presence can be achieved only when we make the decision to enter into His holy court by following His teachings and laws. Once this is done, God will become a part of us: He will dwell within us, in our hearts and souls. Meditate on what the poet hath written: “Wonder not, if my Best-Beloved be closer to me than mine own self; wonder at this, that I, despite such nearness, should still be so far from Him.”.... Considering what God hath revealed, that “We are closer to man than his life-vein,” the poet hath, in allusion to this verse, stated that, though the revelation of my Best-Beloved hath so permeated my being that He is closer to me than my life-vein, yet, notwithstanding my certitude of its reality and my recognition of my station, I am still so far removed from Him. By this he meaneth that his heart, which is the seat of the All-Merciful and the throne wherein abideth the splendor of His revelation, is forgetful of its Creator, hath strayed from His path, hath shut out itself from His glory, and is stained with the defilement of earthly desires. As Bahá’u’lláh reflects in paragraph five of Gleanings XCIII: “How often hath the human heart, which is the recipient of the light of God and the seat of the revelation of the all-Merciful, erred from Him Who is the Source of that light and the Well Spring of that revelation.” The heart is the throne on which the Revelation of God is seated, and it is when it strays from the source of that revelation that it becomes remote from God. So, it is that we stray from the teachings of the Manifestation of God, which are critical to our well being and enable us to draw nearer to God. But all the while, God remains intimately aware of our true station. He is, thus, closer to us than our very life-vein. Remoteness, it would appear, is of our own making, the fruit of the wavering heart that is prone to error. Proximity is the aim of the true believer and demands a sustained awareness of God’s Presence and the continual alignment of the soul with His Revelation and laws. If we maintain this awareness and live accordingly, then our hearts will draw near to God. The cup of our souls will be always turned towards the ever-flowing grace of God. We will be true believers in the Unity of God. In Gleanings XCIII, Bahá’u’lláh guides us through a labyrinth of reasoning, the journey through which helps us to grasp the hierarchy of creation, to ponder the waywardness of the human heart, and to marvel at the all-pervasive signs of His revelation as embodied in His creation. * The passage is reproduced in full below. 1. KNOW thou that every created thing is a sign of the revelation of God. Each, according to its capacity, is, and will ever remain, a token of the Almighty. Inasmuch as He, the sovereign Lord of all, hath willed to reveal His sovereignty in the kingdom of names and attributes, each and every created thing hath, through the act of the Divine Will, been made a sign of His glory. So pervasive and general is this revelation that nothing whatsoever in the whole universe can be discovered that doth not reflect His splendor. Under such conditions every consideration of proximity and remoteness is obliterated.... Were the Hand of Divine power to divest of this high endowment all created things, the entire universe would become desolate and void. 3. Meditate on what the poet hath written: “Wonder not, if my Best-Beloved be closer to me than mine own self; wonder at this, that I, despite such nearness, should still be so far from Him.”... Considering what God hath revealed, that “We are closer to man than his life-vein,” the poet hath, in allusion to this verse, stated that, though the revelation of my Best-Beloved hath so permeated my being that He is closer to me than my life-vein, yet, notwithstanding my certitude of its reality and my recognition of my station, I am still so far removed from Him. By this he meaneth that his heart, which is the seat of the All-Merciful and the throne wherein abideth the splendor of His revelation, is forgetful of its Creator, hath strayed from His path, hath shut out itself from His glory, and is stained with the defilement of earthly desires. 4. It should be remembered in this connection that the one true God is in Himself exalted beyond and above proximity and remoteness. His reality transcendeth such limitations. His relationship to His creatures knoweth no degrees. That some are near and others are far is to be ascribed to the manifestations themselves. 5. That the heart is the throne, in which the Revelation of God the All-Merciful is centered, is attested by the holy utterances which We have formerly revealed. Among them is this saying: “Earth and heaven cannot contain Me; what can alone contain Me is the heart of him that believeth in Me, and is faithful to My Cause.” How often hath the human heart, which is the recipient of the light of God and the seat of the revelation of the All-Merciful, erred from Him Who is the Source of that light and the Wellspring of that revelation. It is the waywardness of the heart that removeth it far from God, and condemneth it to remoteness from Him. Those hearts, however, that are aware of His Presence, are close to Him, and are to be regarded as having drawn nigh unto His throne. 7. Let no one imagine that by Our assertion that all created things are the signs of the revelation of God is meant that — God forbid — all men, be they good or evil, pious or infidel, are equal in the sight of God. Nor doth it imply that the Divine Being — magnified be His name and exalted be His glory — is, under any circumstances, comparable unto men, or can, in any way, be associated with His creatures. Such an error hath been committed by certain foolish ones who, after having ascended into the heavens of their idle fancies, have interpreted Divine Unity to mean that all created things are the signs of God, and that, consequently, there is no distinction whatsoever between them. Some have even outstripped them by maintaining that these signs are peers and partners of God Himself. Gracious God! He, verily, is one and indivisible; one in His essence, one in His attributes. Everything besides Him is as nothing when brought face to face with the resplendent revelation of but one of His names, with no more than the faintest intimation of His glory — how much less when confronted with His own Self! 8. By the righteousness of My name, the All-Merciful! The Pen of the Most High trembleth with a great trembling and is sore shaken at the revelation of these words. How puny and insignificant is the evanescent drop when compared with the waves and billows of God’s limitless and everlasting Ocean, and how utterly contemptible must every contingent and perishable thing appear when brought face to face with the uncreated, the unspeakable glory of the Eternal! We implore pardon of God, the All-Powerful, for them that entertain such beliefs, and give utterance to such words. Say: O people! How can a fleeting fancy compare with the Self-Subsisting, and how can the Creator be likened unto His creatures, who are but as the script of His Pen? Nay, His script excelleth all things, and is sanctified from, and immeasurably exalted above, all creatures. 9. Furthermore, consider the signs of the revelation of God in their relation one to another. Can the sun, which is but one of these signs, be regarded as equal in rank to darkness? The one true God beareth Me witness! No man can believe it, unless he be of those whose hearts are straitened, and whose eyes have become deluded. Say: Consider your own selves. Your nails and eyes are both parts of your bodies. Do ye regard them of equal rank and value? If ye say, yea; say, then: ye have indeed charged with imposture, the Lord, my God, the All-Glorious, inasmuch as ye pare the one, and cherish the other as dearly as your own life. 10. To transgress the limits of one’s own rank and station is, in no wise, permissible. The integrity of every rank and station must needs be preserved. By this is meant that every created thing should be viewed in the light of the station it hath been ordained to occupy. 11. It should be borne in mind, however, that when the light of My Name, the All-Pervading, hath shed its radiance upon the universe, each and every created thing hath, according to a fixed decree, been endowed with the capacity to exercise a particular influence, and been made to possess a distinct virtue. Consider the effect of poison. Deadly though it is, it possesseth the power of exerting, under certain conditions, a beneficial influence. The potency infused into all created things is the direct consequence of the revelation of this most blessed Name. Glorified be He, Who is the Creator of all names and attributes! Cast into the fire the tree that hath rot and dried up, and abide under the shadow of the green and goodly Tree, and partake of the fruit thereof. 12. The people living in the days of the Manifestations of God have, for the most part, uttered such unseemly sayings. These have been set down circumstantially in the revealed Books and Holy Scriptures. 13. He is really a believer in the Unity of God who recognizeth in each and every created thing the sign of the revelation of Him Who is the Eternal Truth, and not he who maintaineth that the creature is indistinguishable from the Creator. 14. Consider, for instance, the revelation of the light of the Name of God, the Educator. Behold, how in all things the evidences of such a revelation are manifest, how the betterment of all beings dependeth upon it. This education is of two kinds. The one is universal. Its influence pervadeth all things and sustaineth them. It is for this reason that God hath assumed the title, “Lord of all worlds.” The other is confined to them that have come under the shadow of this Name, and sought the shelter of this most mighty Revelation. They, however, that have failed to seek this shelter, have deprived themselves of this privilege, and are powerless to benefit from the spiritual sustenance that hath been sent down through the heavenly grace of this Most Great Name. How great the gulf fixed between the one and the other! If the veil were lifted, and the full glory of the station of those that have turned wholly towards God, and have, in their love for Him, renounced the world, were made manifest, the entire creation would be dumbfounded. The true believer in the Unity of God will, as it hath already been explained, recognize, in the believer and the unbeliever, the evidences of the revelation of both of these Names. Were this revelation to be withdrawn, all would perish. 15. Consider, in like manner, the revelation of the light of the Name of God, the Incomparable. Behold, how this light hath enveloped the entire creation, how each and every thing manifesteth the sign of His Unity, testifieth to the reality of Him Who is the Eternal Truth, proclaimeth His sovereignty, His oneness, and His power. This revelation is a token of His mercy that hath encompassed all created things. They that have joined partners with Him, however, are unaware of such a revelation, and are deprived of the Faith through which they can draw near unto, and be united with, Him. Witness how the divers peoples and kindreds of the earth bear witness to His unity, and recognize His oneness. But for the sign of the Unity of God within them, they would have never acknowledged the truth of the words, “There is none other God but God.” And yet, consider how grievously they have erred, and strayed from His path. Inasmuch as they have failed to recognize the Sovereign Revealer, they have ceased to be reckoned among those who may be regarded as true believers in the Unity of God. 17. God grant that, with a penetrating vision, thou mayest perceive, in all things, the sign of the revelation of Him Who is the Ancient King, and recognize how exalted and sanctified from the whole creation is that most holy and sacred Being. This, in truth, is the very root and essence of belief in the unity and singleness of God. “God was alone; there was none else besides Him.” He, now, is what He hath ever been. There is none other God but Him, the One, the Incomparable, the Almighty, the Most Exalted, the Most Great. Bio: A. Philip Christensen is a Bahá’í, who along with his family spent over thirty years on the African continent and in Haiti, working on international development projects and serving the Bahá’í community. 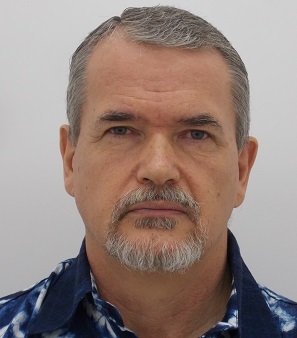 He has recently retired to Vancouver Island, where he wrote this piece on Gleanings for a course entitled “Writing About the Writings: The Art and Craft of the Personal Reflection Piece,”, which is offered through the Wilmette Institute.